Michael J. 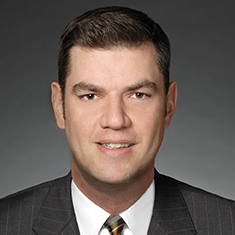 Diver is the head of Katten's Chicago Securities Litigation and Enforcement practice. He represents public companies, financial services firms and other regulated entities, as well as their individual officers and directors, in securities litigation and regulatory matters. A former Branch Chief in the Division of Enforcement of the SEC's Chicago Regional Office, Diver's experience covers a broad array of securities litigation and enforcement matters. His recent engagements include matters related to investment adviser and hedge fund activities, broker-dealer sales practices, insider trading, municipal securities transactions, public company financial reporting and disclosure, securitization transactions, and the Foreign Corrupt Practices Act (FCPA). He also regularly advises clients in connection with corporate governance matters, shareholder claims, internal investigations, financial restatements, and Financial Industry Regulatory Authority, Inc. (FINRA) and stock exchange inquiries. Michael has been praised for his ability to "instill confidence that the client is in good hands" and for his "calm and rational" approach (U.S. News – Best Lawyers® "Best Law Firms"). While at the SEC, Michael was responsible for managing a team of SEC enforcement attorneys in investigating and prosecuting violations of the federal securities laws, including cases involving complex financial fraud, market manipulation, insider trading, and violations of broker-dealer, investment adviser and investment company regulations. He prevailed in a number of litigated enforcement proceedings, including a high-profile market manipulation and disclosure fraud case. Michael writes and lectures regularly on various topics relating to his practice, including current enforcement trends and priorities, corporate and individual cooperation criteria, whistleblower complaints, insider trading and best practices in defending against regulatory inquiries.